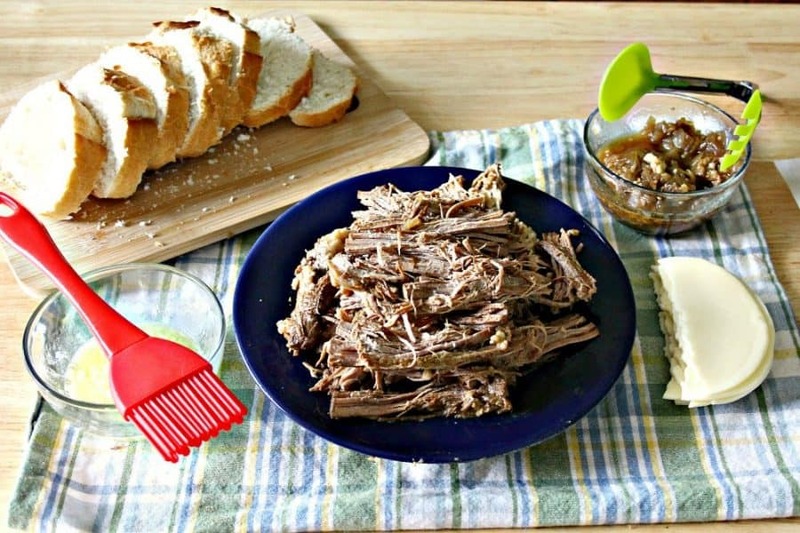 Make easy French dip sandwiches in your Instant Pot with roast beef. 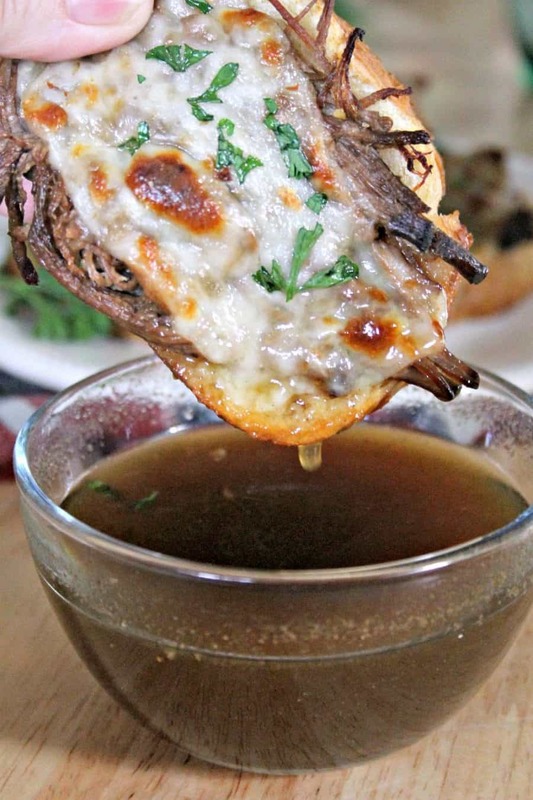 Dip sandwiches in homemade au jus for an easy dinner. 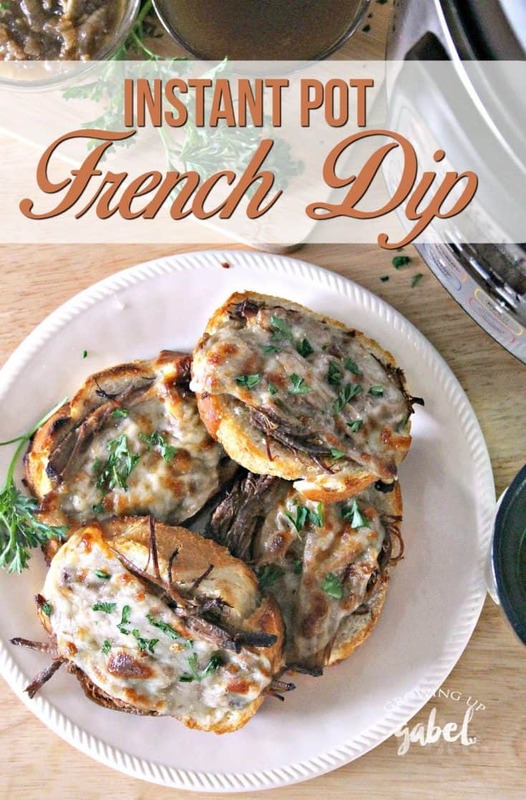 French dip sandwiches are one of those easy comfort food recipes that are great for lunch, dinner or parties. 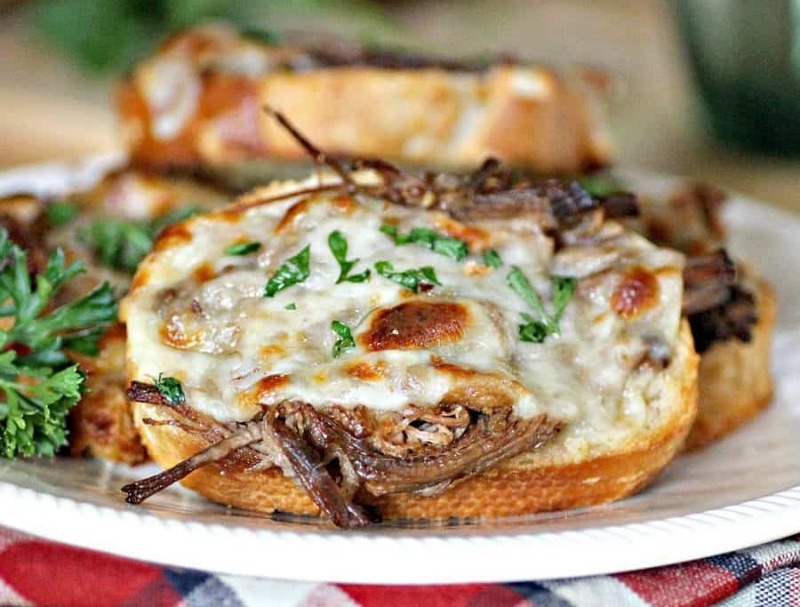 We often make slow cooker French dip sandwiches. But there are always those days when you forget to defrost the beef or just need the sandwiches sooner than cooking all day. That's why I love the Instant Pot! Thanks to the Instant Pot these sandwiches are ready in just over an hour. And cooking 5 pounds of beef means there is plenty for leftovers or for freezing for later. Another thing to love about this French dip recipe is that the sandwiches are open faced. So they are great if you don't want too much bread. Begin by cooking the roast beef. Brush both sides of the roast with olive oil and sprinkle the seasoning salt or salt and pepper. Press salt into the meat. Set your Instant Pot to sauté mode. Add 2 tablespoons of olive oil to your instant pot. Brown on both sides of the roast in the Instant Pot, about 2 minutes per side. Remove the beef from the Instant Pot on to a plate and set aside. 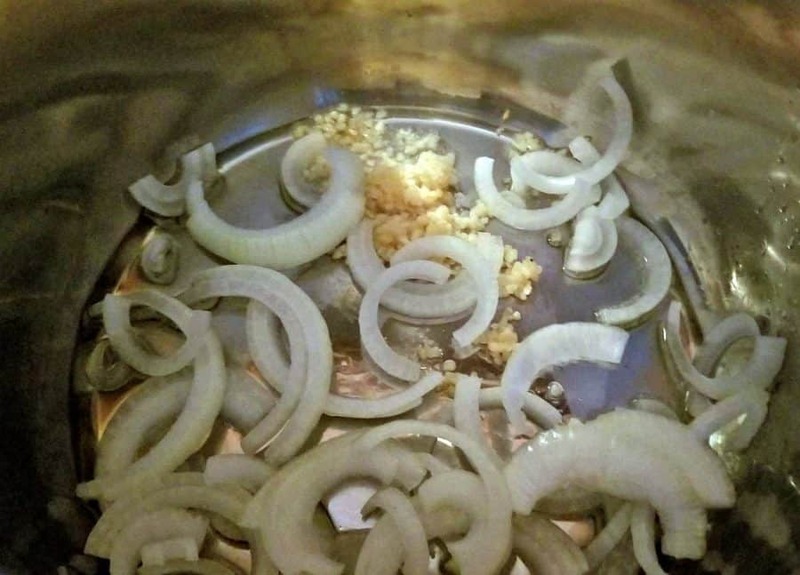 Add the olive oil, garlic and onion to the Instant Pot and cook for 2 minutes. Stir occasionally. 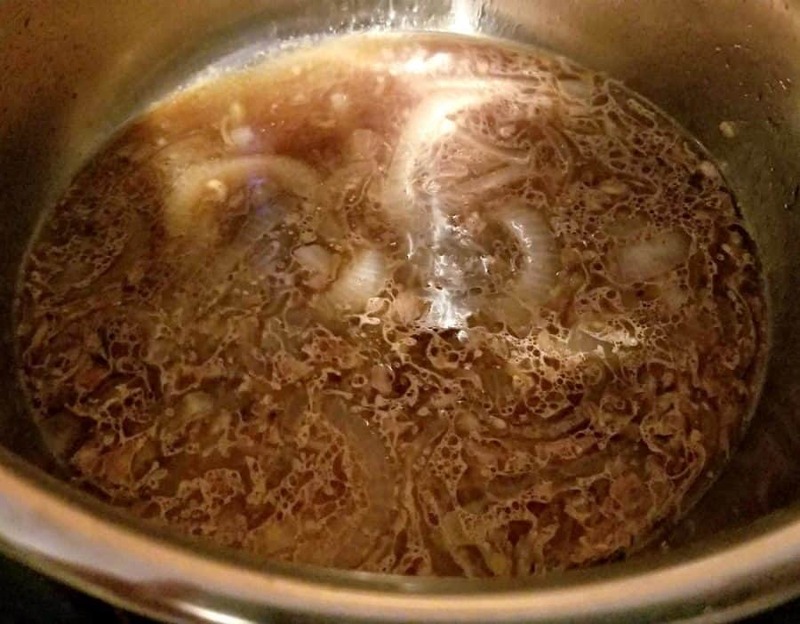 Pour the beef broth, soy sauce, Worcestershire sauce into the Instant Pot along with the package of dry soup or au jus packet. Mix well and then add the roast back into the pot. 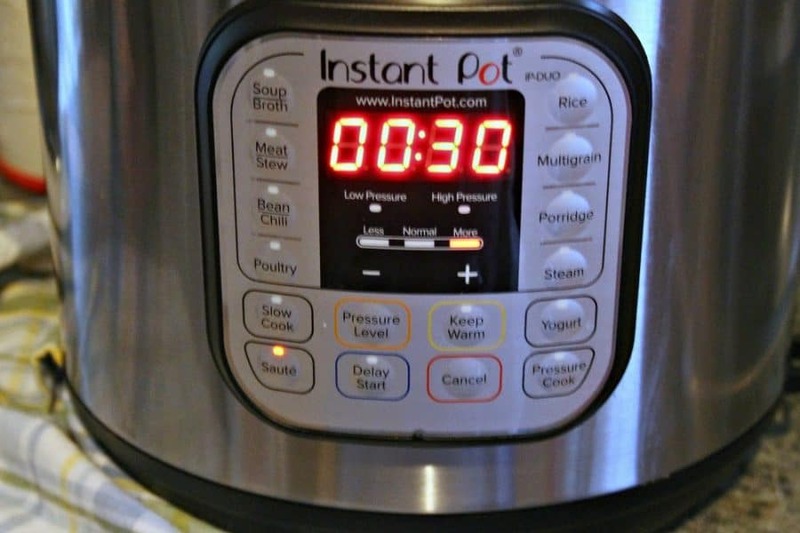 Put the lid on Instant Pot. Set the valve is to seal and set the pot on manual high pressure for 1 hour. Make sure the vent is closed. When the time is up, allow the pressure to release naturally for 15 minutes. 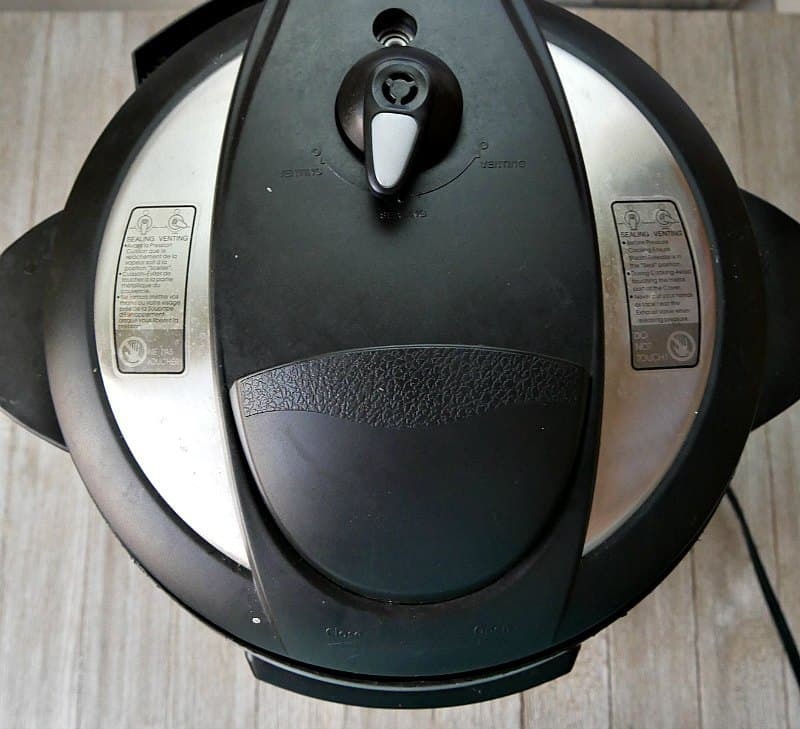 After 15 minutes, open steam vent and wait for steam to completely stop before opening lid. Make sure to open the lid away from you so any steam can escape safely. Remove the beef and shred it on to a plate or bowl. Strain the liquid from the Instant Pot and add to a small bowl. This will be your au jus sauce used to dip the sandwiches when eating them. Turn the broiler on in your oven or toaster oven. Make an assembly line to put your sandwiches together. You can melt butter and brush on the bread or not. It's up to your preference. 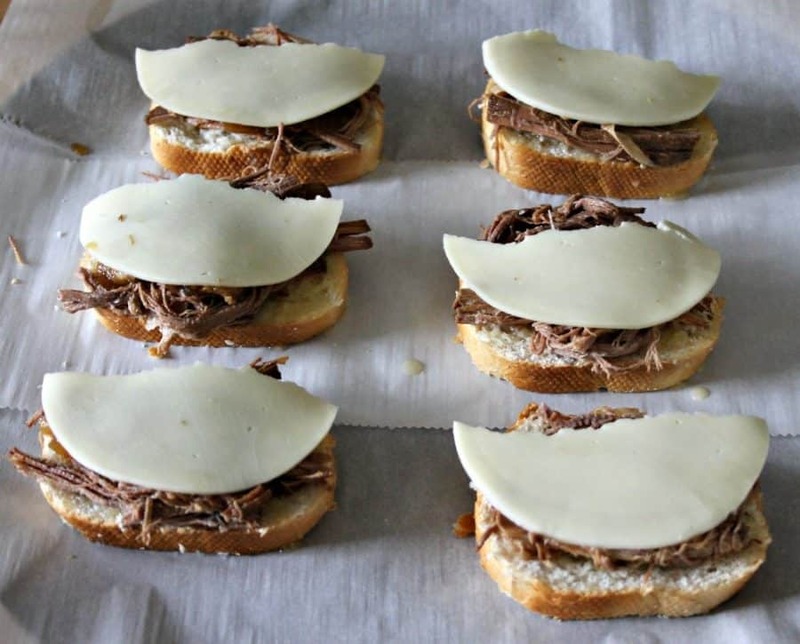 Line the bread up on a baking sheet and add meat, onions, and top with the cheese. Place the baking sheet under the broiler until cheese begins to bubble and brown. Add fresh parsley if desired. Serve the sandwiches open faced or top with an additional slice of bread for a full sandwich. 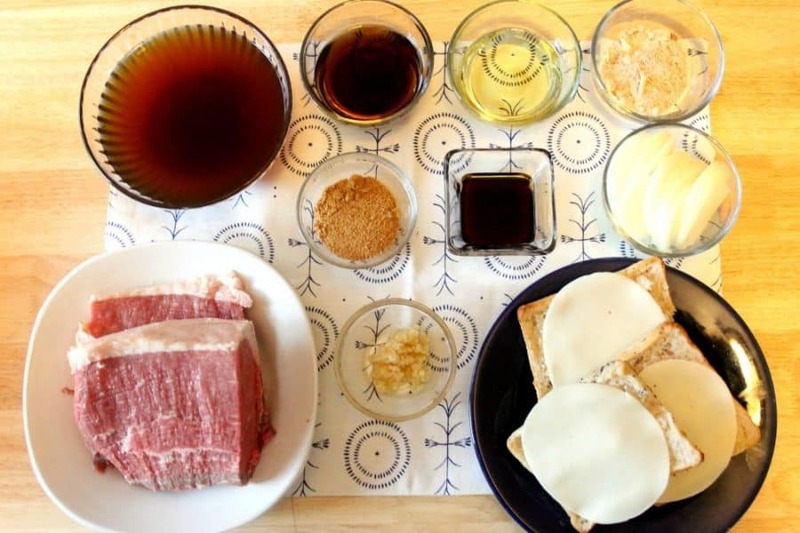 Serve the sandwiches with small bowls of the au jus for dipping. Don't worry if they are messy! That's what makes them fun. Serve with a side of homemade potato chips and homemade chip dip. Remove the beef and shred it on to a plate or bowl. Strain the liquid from the Instant Pot and add to a small bowl. This will be your au jus sauce. Place the baking sheet under the broiler until cheese begins to bubble and brown. Add fresh parsley if desired and serve immediately. We prefer a chuck roast for French dip sandwiches, but any beef roast will do.